« Thirty days and nights of Writing Arrives! Yesterday, November 7 President Barack Obama was re-elected for his second term. It was, as almost every opinion maker remarked, a very embattled campaign. If there is one thing I love reading about after election day it’s reading about the political strategies that led to the win. Slate‘s How Obama won Four More Years is a particularly interesting read, I would probably read Vanity Fair’s version when it comes out. But one of the more interesting aspects for me about this election is how much the internet and the changing demographic changed the landscape. We saw this happen during Obama’s 2008 campaign, launching Social Media into the stratosphere, and we’re seeing it again. 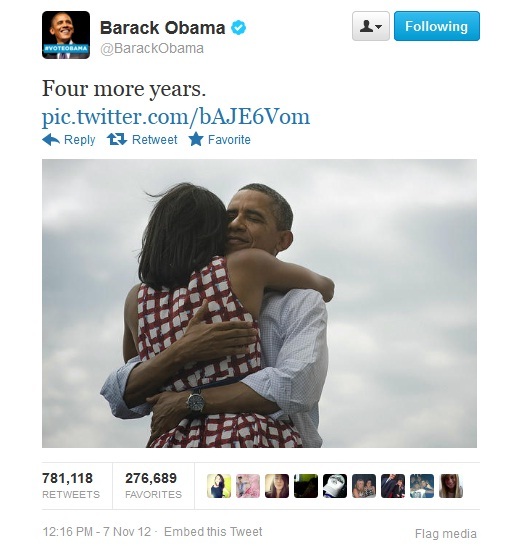 Obama announced his win over twitter and his tweet has now become the most retweeted during Election Day. Nate Silver of FiveThirtyEight has certainly left his mark, to most people who knew of Silver this was hardly a surprise. Many pointed out that he’s accurately predicted elections before and it’s because he doesn’t include any political affiliations to the mix. It’s all data, baby. 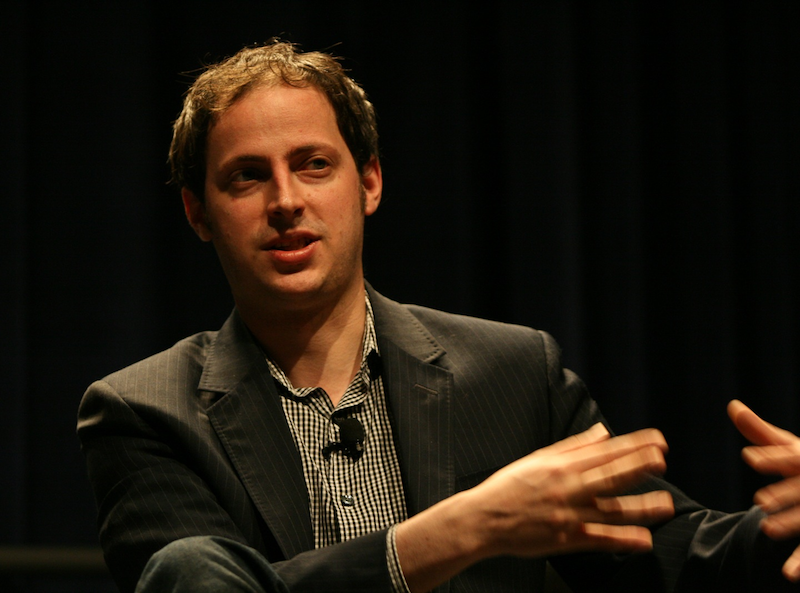 Nate Silver started out crunching numbers for baseball and later shifted to using his methods to politics. It’s unconventional to say the least, and received a LOT of derision from pundits, especially Republican pundits. Silver shrugged off all the criticism because what he does have was data on his side. It’s not perfect by any means but Silver has a way of, as one blogger acquaintance puts it siphoning out the subtleties in the polling sample and point out his data set into making things as pretty damn accurate as he can make it. Let me tell you, this is the first time I’ve had an appreciation of math. Silver won himself many fans and a cool $1,000. I’m a bit of a late adopter myself so watching new models disrupt the traditional modes of thinking. in action, in such a broad level is really interesting. This Post was posted in Uncategorized and tagged barack obama, new models, politics. Bookmark the permalink. That photo of Barack and his better half is certainly beautiful, isn’t it? What fascinated me most is this year’s campaign strategy. It was such a digital campaign! In fact, the great thing about the last two elections is seeing how it has affected how we communicate our political views on digital platforms. The rise of social media and the large social networking sites happened to coincide when Obama was campaigning for his first term. It is interesting to see the discourse happening in real-time, beyond confines of distance, when previously, it would take place between people who are physically present in a common space during a certain given time. Obama’s campaign team made a good decision to choose to use the internet to reach out to his supporters at a time when the understanding of digital marketing was still at its infancy. (McCain didn’t use it that much.) So, it was no surprise that Obama’s team handled things beautifully this year… even if Romney’s people also took on the digital route. Nate Silver was also pretty amazing. Math isn’t exactly my cup of tea, but to see it in action is nonetheless noteworthy. I look forward to how things will evolve in the digital sphere come 2016. I’m sure it’ll be exciting. The internet has really changed everything and Obama’s campaign really benefited from it. He or his campaign manager hit the right note and utilized a lot of young volunteers who are very savvy to the new digital trends, and its a gambit that paid off handsomely. Honestly, IMO, it was Obama’s successful campaign in 2008 that really pushed social media forward. And its so interesting to see how this election will shape the internet in the next four years.